"I think everyone is different, whether you have a disability or not. It doesn’t matter what that difference is. And we should celebrate our differences"
One thing that’s unique about disability and D&I is that there’s no one-size-fits-all solution. What works for one person doesn’t always work for another." "I’ve received nothing but support and help. Disclosure is really important. It’s part of the acceptance process"
"Shell was the first company to get back to me. At the time I was in a wheelchair, but they made it clear it wasn’t an issue. I had a very positive recruitment experience and I joined as a result of that. Shell was very accommodating, and they created a great first impression." Shell’s Diversity and Inclusion (D&I) team takes great pride in actively promoting equal opportunities for disabled employees. It’s this commitment that first attracted Andy Kneen, Human Resources Manager for Gas in Projects and Technology, to the organization. At Shell, we recognize people for their talents. White background, abovementioned text displays across it while three lines - yellow, red and yellow again – move from centre of the white background towards the right. The width between the lines expands as they move from the central position and then decrease as they disappear at the right side of the screen. A blonde, Caucasian woman, in grey jacket standing next to a window with blinds. I was becoming very isolated. I couldn’t talk to my colleagues and friends. Four blocks of colour, red, yellow, grey and white slide across the screen as the speaker fades out. The abovementioned text slides left out of the screen, followed by a yellow screen moving rapidly to the left of screen. I thought that those feelings only belonged to me. A young, blonde Caucasian woman in glasses is shown in an outdoor setting. Behind her is long grass and trees. It’s not easy. This is tough. A young Asian man, alongside a young Asian woman. Behind them is a white display wall with clear vases in blue, lit recesses. As the young man speaks, he turns to look at the woman alongside him. She nods in agreement at what he is saying. The stigma can actually be a lot worse than the illness itself. A Caucasian man wearing glasses. Behind him and out of focus is a green lawn and trees. A sprinkler is on. I’m a professional, I’m a human being, I’m a father, I’m a husband. I have hopes and dreams and life goals. An elderly Caucasian man, with silver hair and beard. He is seated in front of a glass panel which has text etched into it. We’re interested in people and not the affliction. A young African woman, seated at a large desk in an office setting. We are a diverse society. A Caucasian man, middle-aged. He is wearing a white shirt and blue tie and is seated at a table in front of a large, opaque window. A young African woman, seated at a large desk in an office. This is now the situation. A Caucasian man, middle-aged. He is wearing a white shirt and blue tie and is seated at a table in front of a large, opaque window. The camera has now zoomed in to focus on his head and shoulders. We need to create that environment of inclusiveness in which diversity can blossom. A Caucasian man, dark hair, wearing glasses. He is seated in front of the same window as the previous speaker. The camera shows his head and shoulders. Make sure of the question. Simply ask the question: what is it that we can do to help you perform at your best? A young Asian man, alongside a young Asian woman. Behind them is a white display wall with clear vases in blue, lit recesses. The young woman nods in agreement at what he is saying. The support in the workplace can help to filter over into the community. The relationships at home and with friends can be a lot more harmonious. A Caucasian woman, with shoulder-length blonde hair. She is standing in front of a window with open blinds. So by sharing your situation, you will do yourself a favour. 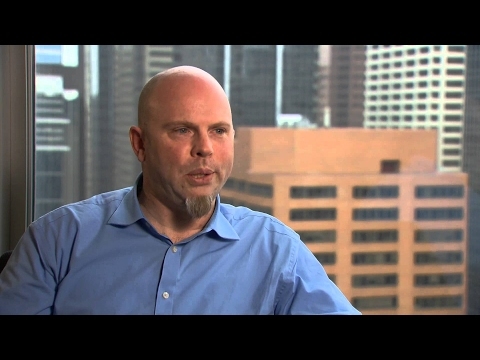 A bald Caucasian man with a goatee sitting in front of a window. You can look at it as a challenge to try and further educate people. A young Caucasian man, with short dark hair. Disclose promptly. Feel recognized for your work abilities and successes. A blonde, Caucasian woman, in grey jacket, standing next to a window with blinds. I’ve received nothing but support and help. Camera zooms in to show just the speaker’s head and shoulders. Disclosure is really important as a part of the acceptance process. There’s a comfort level now that I don’t have to pretend to be something that I’m not. A bald Caucasian man with a goatee. He is standing or seated in front of a large, clear window. He smiles as he finishes speaking and gently shakes his head. A Caucasian man wearing glasses. Behind him and out of focus is a green lawn and trees. A sprinkler is on. He laughs as he finishes speaking. There was no reason to ever be uncomfortable. Disclosing lets me be who I am. A young African man in a striped shirt. His shirt is unbuttoned at the neck. I don’t think that there is any reason to be afraid. A Caucasian man in dark jacket and white shirt. He is standing on the uppermost level of an office. We can see the level below through the open central space, and a skylight above the uppermost floor. You will be able to reach your potential, remove the fear factor. I was holding back a part of me. We see the head and shoulders of a middle-aged Caucasian man. The camera zooms in and out on him several times as he speaks. Break the taboo, demystify it, create that impact, and it was amazing. A bald Caucasian man with a goatee. He is seated at a table in front of a large, clear window. A blonde, Caucasian woman, in grey jacket, standing next to a window with blinds. The camera has now zoomed in to focus on her head and shoulders. A young African woman, seated at a large desk in an office setting. The camera zooms in on her towards the end of her segment. Always look deep in who you are. Be true to that. A Caucasian man seated behind two computer screens at a desk in an open-plan office. Have a hopeful approach to life. It’s about being real. It’s about being authentic; this is who I am. I think everyone is different. Whether you have a disability or not, it doesn’t matter what that difference is, and we should celebrate our differences. White background, abovementioned text displays across it while three lines, yellow, red and yellow again, Move from centre of the white background towards the right. The width between the lines expands as they from their central position and then decrease as they disappear at the right side of the screen. Both text and lines fade and disappear. A Shell employee’s testimonial to Shell’s inclusive approach to people with disabilities, and thus encouraging disability disclosure. Bright, happy guitar music with a voice humming the melody. Vertical red and yellow lines appear slightly right of centre, and move towards frame right as text displays frame left. Promoting an inclusive work environment through disability disclosure. Close-up of Cooske against the background of a large window with horizontal blinds in the open position. Dissolve to red, yellow, grey and white blocks, then dissolving to a white screen with a yellow checked pattern frame right and red and yellow vertical lines to the left of the pattern which move towards frame right, slowly wiping the yellow pattern as red text moves across in the same direction, after which the text, vertical lines and the block of yellow colour fly back towards frame left, the yellow colour filling the screen. Mid-shot of Cooske against the background of large windows with horizontal blinds in the open position, cutting to a close-up and then back to the mid-shot. Dissolve to grey and white blocks, then dissolving to a red and yellow checked screen, the red blocks filling frame left and some of frame right, and yellow blocks filling extreme frame right. White text alongside vertical white lines moves towards frame right, along with the red checked pattern, until there is only a thin line of yellow at the edge of frame right, after which the text, vertical lines and the block of yellow colour fly back towards frame left, the yellow colour filling the screen. Close-up of Cooske against the background of large windows with horizontal blinds in the open position, cutting to a mid-shot and then back to the close-up. Country landscape, palm trees and grass. Girl in a wheelchair and another with crutches. Girl with crutches has missing leg. Woman working on a sewing machine. Golf buggy going down palm-tree lined drive. Minibus taxi and people walking around in town. People standing behind a large cheque, cheering. Large monument for the State of Abia, Nigeria. African beaded jewellery set up on a table. A woman holding up handmade, beaded bags. Chidimma says thank you in sign language to camera. Atim speaks to camera in sign language, blows kisses and waves. Man talking to a group of people sitting at desks, some have laptops. Women seated around a table with beads, making things. Men sit sewing and creating jewellery. Person working with electronic equipment. Man working on a laptop. Another group sits around a table working on electronic equipment. A barber’s shop, people having their haircut. Women practising braiding on mannequin heads. Two women showing a woman in a wheelchair how to braid hair on a mannequin. Awards ceremony, woman on stage in a wheelchair hands a gift to someone. Group of people making sandals. Talking and smiling. Two men working on electronics. Woman overseeing people working on electronics. Small room full of people working at sewing machines. Barber shop, man having his hair cut. Disabled man lifts himself off motorbike and across floor. Two men working on electronic equipment. Woman in wheelchair at a sewing machine. People in wheelchairs working on electronics. Map of Niger Delta, six states labelled in red: Delta, Bayelsa, Rivers, Akwa Ibom, Abia, Imo. Group of people with difficulty walking making their way to training centre. Table where people are being taught skills. Barber shop. Mobile phone being repaired. Woman working on beading. Woman at a sewing machine. Women braiding hair. Stack of equipment. People tie-dying material. Table of people making sandals. “The high point of this programme was the handover of starter packs and cheques of six million naira for each state, amounting to 200,000 naira per beneficiary. People dancing at an awards ceremony. Starter packs– generators, etc. People being handed starter packs and large cheques, posing for cameras. Group of people pose for photograph and cheer. The liveWIRE Nigeria project is financed by The Shell Petroleum Development Company of Nigeria Ltd. (SPDC) and its joint venture partners. Nigerian Agip Oil Company Ltd.
Should you share relevant information about your disability and/or long-term health condition when applying to an organization? Applying to the United States, Brazil, Nigeria and Asia Pacific/Middle East – select ‘yes’ as described above and email us at careers@shell.com when you require an adjustment/accommodation. Shell will contact you directly about the information you have shared. Support can come from your Line Manager and/or Human Resources (HR). On your own, or with your Line Manager and/or HR, you can also speak to our Occupational Health organization and the Shell enABLE Network, both outlined below. Shell’s Occupational Health organization can provide confidential support in the workplace. They can listen to individual challenges, discuss possible work place adjustments and share information on the resources available to you. They can also work with you and your Line Manager and/or HR regarding workplace support. The Shell enABLE Networks provide employees, with and without disabilities and/or long-term health conditions, an open forum for discussion about the subject area. It also enables the sharing of experience and advice whilst helping to raise awareness of various disabilities and health related topics in the wider Shell organization. The advice and resources available across the organization can then be used to understand the adjustments/accommodations you require, enabling you to overcome any challenges and perform in your role. Shell cannot be the best version of itself without embracing the talent that individuals from various experiences, backgrounds and diverse abilities can bring to the table. Encouraging different perspectives, ways of thinking, approaches to tackling problems and developing solutions is paramount in Shell. By harnessing the differences between people, we can develop our understanding of our customer base as well as generate innovative and adaptive thinking, helping to drive the organization towards the objective of being the most competitive and innovative energy company.